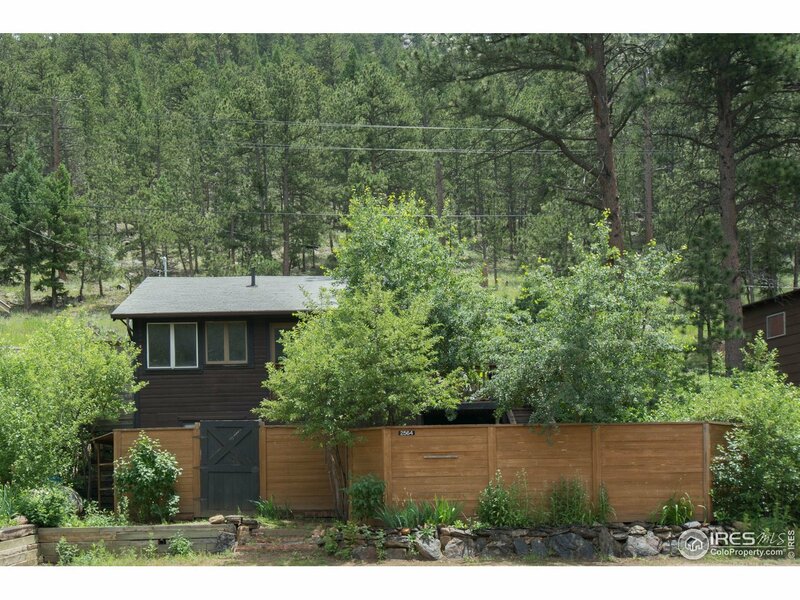 Embrace mountain living in this cozy charmer just outside Estes Park, minutes down the Big Thompson Canyon. Darling cabin features vaulted ceilings, exposed beams, hardwood floors, gas fireplace, recessed lighting, lofted area in 2nd bedroom. Lower-level has separate entrance, living space, mini-kitchen, 3/4 bath. Incredible multi-leveled outdoor space takes full advantage of the hillside, including private courtyard, fenced yard, built-in benches, storage, gardening beds, even a pizza oven!